In the wake of the recent shooting at a Sikh temple in Wisconsin, many folks in the West are probably just hearing about Sikhism for the first time. The following is an adapted excerpt from the brief section on Sikhism in Orthodoxy and Heterodoxy: Exploring Belief Systems through the Lens of the Ancient Christian Faith. If there are any converts from Sikhism (or other Far Eastern religions) to Orthodoxy who happen upon this, we would love to hear your story and possibly even publish it here. See our submission guidelines for more. Sikhism represents a kind of hybrid between Islam and Hinduism formed in sixteenth-century northern India, centered today in the Indian state of Punjab—geographically between Hindu India to the south and Muslim Pakistan to the northwest. Like Islam, Sikhism is strongly monotheistic. Like Islam, it also forbids the representation of God in images or bowing down before them. Another inheritance from Islam is an emphasis on the equality of all human beings. Sikhs reject the caste system of their neighboring Hindus. Like Hinduism, however, Sikhs believe in reincarnation and define ultimate salvation in terms common to some Hindus and most Buddhists—escape from the cycle of rebirth. Salvation is only possible through rigorous discipline and devotion to God, although not through separation from the world as in monasticism or the hermits of the Hindu Yogin tradition. Salvation is understood as being attained through an internal struggle in the heart—outward rituals, pilgrimages, and so forth are regarded as ultimately irrelevant. Salvation finally consists in absorption into God. Sikh religious authority rests with a series of ten gurus who lived and taught during the sixteenth to eighteenth centuries. The “final guru” of Sikhism is the Guru Granth Sahib, also known as the Adi Granth, which is the Sikh scripture. Like Islam, Sikhism believes in the establishment of a theocratic state. Orthodoxy shares with Sikhs the emphasis on the human heart as the locus of true spiritual work, but sees physical rituals as being part of the training of the heart. Further, salvation for the Orthodox is union and communion with God, not fusion with Him. I’ve noted this meaning (though it’s at variance with what an actual Sikh told me). …. (or other Far Eastern religions)…..? I’ve never heard the Punjab be called part of the ‘Far East’ before. The reference is generally to the major religions of that area of the world, e.g., Sikhism, Hinduism, Buddhism, Shinto, etc. It wasn’t meant in any strictly technical sense. Your correspondent is right about Singh meaning Lion. I teach Religious Education in the UK. Sikhism is one of the six major religions taught in school- because we have large Sikh communities here. Singh comes from the Sanskrit word Siṃha meaning ‘Lion. Two interesting points to note about Sikhism.1) It started as a religion that wished to stop division between people’s based on creeds or gender. 2) Some Sikhs try to continually chant the name of God. The Sikhs also do an enormous amount of charity work and service for others regardless of beliefs. I met Sikhs in college and remember them being staunchly peace-loving people. A famous convert to Christianity from Sikhism is Sundar Singh. I read the YWAM biography about him and also one of his books while I was on my journey to becoming Orthodox. I couldn’t help but notice how close in spiritual praxis and mindset he was to being an Eastern Orthodox monk/missionary without actually having formally become Orthodox (not likely that this would have even been a possibility for him in the time and place he lived). He affiliated with the Anglican Church, though as a result of his convictions of God’s calling for him could not conform to their expectations of him as an ordained Anglican priest to wear western dress, etc.. He also challenged the more indigenous Indian (Oriental?) Orthodox Churches with what was at the time their tendency to nominalism. If stories from him and about him are true, in his asceticism, humility and love, and mystical insights, spiritual convictions of the meaning of the gospel, and even purported healing and prophetic gifts, he seems to me to have much in common with the “charismatic” Elders of the Church. He reminds me in many ways of St. Isaac the Syrian and had a similar hope that all might eventually be saved. There is some controversy about certain details of his life as well as his claims to have had mystical communion with the Swedish Lutheran pietist and mystic, Swedenborg (which was omitted from Evangelical and Protestant biographies of his life). Despite that, his testimony seems to me a completely extraordinary account of the grace and power of God at work in a human life and a sort of “back door” confirmation of the truth of full Orthodoxy. This is a false statement. Sikhism does not espouse such a belief. Thanks for the correction! I do not now recall where I read that about Sikhism. Would you care to point us toward some resources on Sikh beliefs regarding the state? Bless Father…., I want to help clear up this confusion. Ultimately, Sikhism does believe in the establishment of a theocratic state with the Khalsa as the authority of that state. You may wish to study the history of the glorious Sikh Empire. There are different interpretations of what the idea of the theocratic state means. Some Sikhs say it is not an actual state/political country but that it is the Khalsa, the organized body of Baptized Amritdhari Sikhs. Other Sikhs say that it is an actual political state. Most recently, the idea of a political Sikh state has been manifested through the Khalistan movement in which radical Khalsa Sikhs rally for Punjab to secede from India, this is not favored by the majority of Sikhs. There’s a lot of history and political/ethno-religious tension behind the idea of a Sikh state (you may wish to research the 1984 Anti-Sikh Riots and the Khalistan Movement). To help heal the tension between Hindus and Sikhs, many Sikhs have done away with the idea of a Sikh state but there are still many who wish to revive the glory of the Maharajas (Emperors) of the Sikh Empire, so its a complex situation. My dad is a Punjabi Sikh, so I know a little about the situation. I’m a convert to Orthodoxy. Sorry this was so long but I hope I could help a little! please note that the sikh faith is NOT hybrid of nay faith. it encompasses the universal truths and wisdom but with its own distinct identity, beliefs and practices, entirely different from the muslim and hindu faith. the sikh scripture – Guru Granth Sahib – features the teachings of not only sikh gurus, but of hindu and muslim holy souls whose teachings resonated with guru nanak’s thought and philosophy. the sikh scripture is interfaith in approach to help everyone undertand that we may be diverse, but in essence, we are all one. Father, I am both baffled and saddened as a Greek Ortjodox Christian, that you, as a learned priest of Christianity, would not address your comments on the main difference between Christians and Sikhs: that they are NOT Christian, that they believe in reincarnation, etc etc; instead you point out similarities, many of which are common among humanity and most animal groups! I am the niece of two Orthodox scholars and find this ‘melting pot ‘ mentality disturbing. People will believe what they may, but you as a leader of the first and unchanged doctrine of the only God who’s every foretelling of man has come true in perfect science and chronology , unlike ANY other entity, have an obligation to compare properly and thoroughly the differences among world religions and use them as opportunities to help others see the Light, and not the common ground only. I’m really surprised that you read the post that way. I absolutely do not believe that Sikhism should be in a “melting pot” with Christianity. I reject that idea completely. Reincarnation is indeed mentioned in this post. And Sikhism is never described here as being the same as Christianity. Honestly, my sense is that you’re reading this in almost exactly the opposite way that it is written. 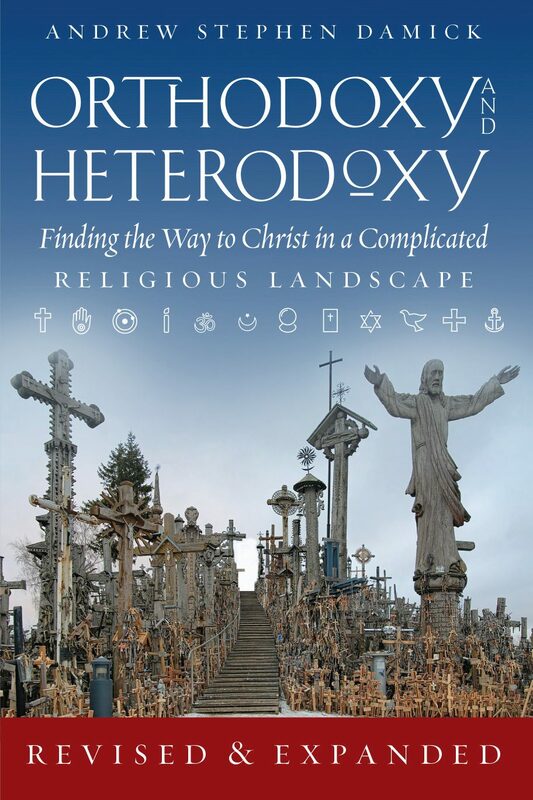 I would imagine that you are unfamiliar with the Orthodoxy & Heterodoxy book and podcast. Their purpose is to point out both differences and similarities between Orthodoxy and other religions. This post is an excerpt from the 2011 edition of the book, which covers Sikhism only in brief, because it is one of over 100 religions that are discussed. A revised, expanded edition has just been released. I think that if you read it or listen to the podcast, you will discover that claiming that there are no differences between religions is exactly the opposite of what I’m saying.